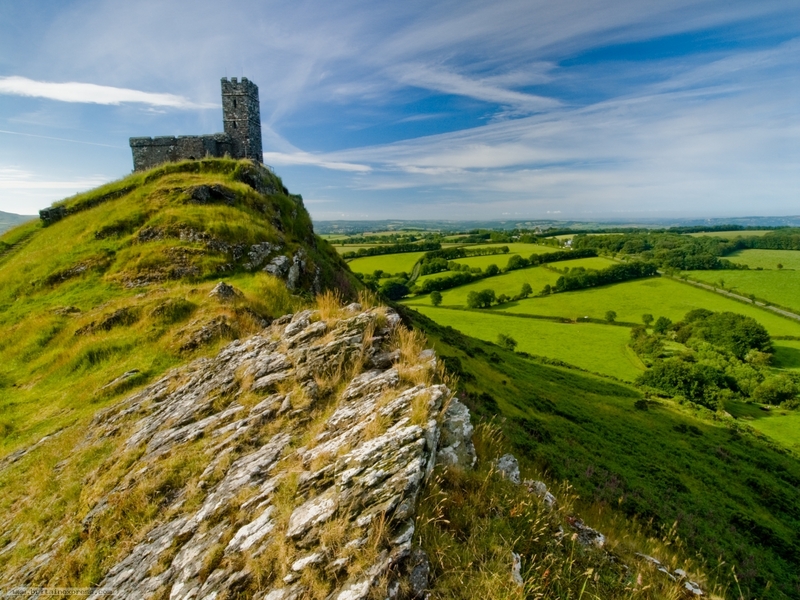 The small medieval church of St Michael, Brentor, is one of the classic icons of Dartmoor, though it is located just outside the National Park boundary. The church is perched atop a rocky hill, and can be seen for miles around. This was my first visit to Brentor, and I made the mistake of trying to access the tor by parking in North Brentor village and walking across fields to the tor - only to discover that there's no direct access. A friendly local put me straight, and I took the minor road that leads around the back of the tor to a small parking area. From there it was an easy climb onto the tor to get this photo as the early morning sun hit the church.